If you're feeling like you overdid it even a little at Thanksgiving, whether you ate on-plan or off, this meal plan could help! You can scroll down to the bottom to grab your free printable version! Just imagine how you could feel January 1 if you spend the next few months getting closer to reaching your goals, instead of getting further away! Getting back on-plan now can make all the difference in starting the New Year strong! I put together some simple meals using leftover turkey. 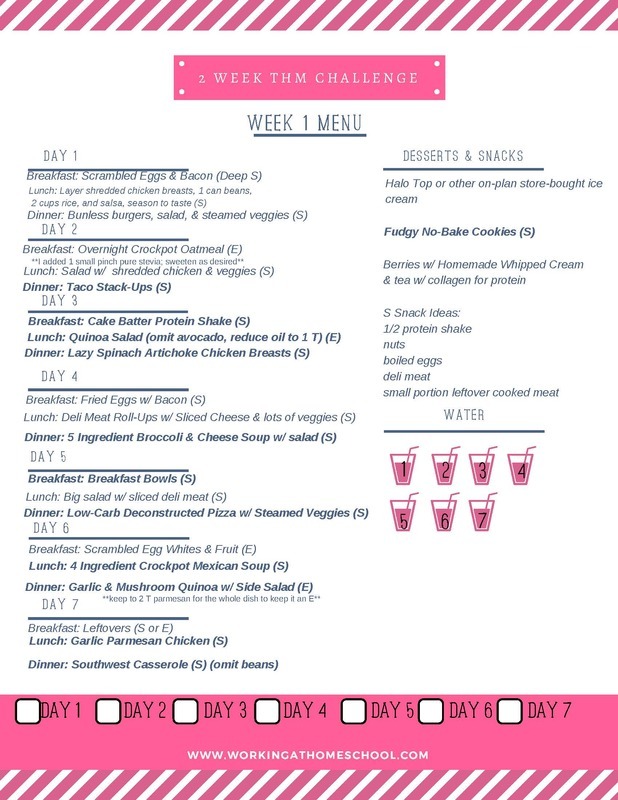 The first two days of this meal plan are Deep S or Light S to help you get over the cravings that can be caused by too many off-plan foods or sugar, and then we'll have a super yummy E on day 3. You can start this meal plan ANY time, but I'm jumping in tomorrow! I'm making some nice light desserts, too! I've noted those in the printable below. P.S. – I'm keeping up with all of the best Black Friday Deals here on Amazon! I'll update frequently throughout the weekend so you don't miss the hottest deals!